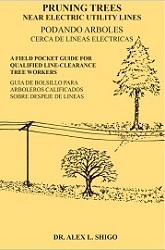 This booklet is a DUAL LANGUAGE version of Pruning Trees Near Electric Utility Lines; facing pages are in English and Spanish, side-by-side, for ease of use and understanding. This guide is only for qualified line-clearance workers. It is not for homeowners or others who have not been trained properly to work near electric utility lines. However, all people who care about trees should read this guide to learn what pruning practices are best for trees near these lines. The pruning procedures shown are appropriate whether or not trees are near electric utility lines. The guidelines are for high-value trees in cities, residential areas, parks, campgrounds, scenic areas and highways, and other places where tree health, beauty, and safety are important. The guidelines given aim to reduce sprouting, reduce the working time in a tree for the tree worker, increase the time between pruning cycles, and help the trees planted near lines be as healthy, safe, and attractive as possible. 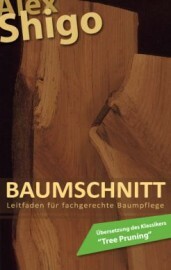 This guide has become the standard for many utility companies and those that provide their tree care services. The format of the book whilst informal, is both clear and well set out and very useful as a carry copy for those working in Utility Arboriculture. The clever and natural style of Dr Shigo does not hide the mans obvious respect for the tree and at the same time focuses on the workers need for gaining safety clearance of electricity conductors. 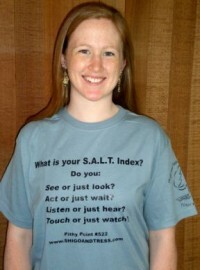 Many useful tips are given and in such a way as to be easily remembered. I carry a copy with me in my safety manual at work and often refer to it when unsure about pruning or if i simply have a spare few moments with a coffee. For just a few pound its worth every employee of an energy company being issued one. Richard Davenport, Scottish and Southern Energy, UK.